Does Poltergeist III continue the good work created by the previous two films? To get away from her tragic past, Carol-Anne moves to Chicago with her Aunt and Uncle. However, it seems that wherever she goes she’s destined to be haunted by an evil spiritual past. 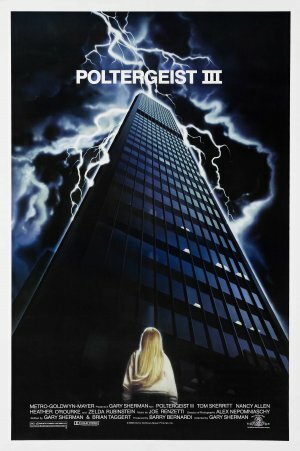 Using a new setting for the third film, Poltergeist III is based in Chicago, where Carol Anne has moved to her Auntie and Uncle’s penthouse in the newly constructed 100-story John Hancock Center. Here she finds that the past ghosts have returned to haunt her, placing her family’s life at risk. With the poltergeists closing in on Carol Anne’s world, the building slowly gets consumed by the evil, but only a select few can see it. At one point the entire basement car park turns to ice with ice-covered cars attacking the Auntie and Uncle. This is a great demonstration of the scary scenes the film is capable of, however it never reaches the level set by Poltergeist and Poltergeist II: The Other Side. Unfortunately, the set up of the story in Poltergeist III doesn’t make much sense, which doesn’t allow the viewer to properly connect or fully understand why Carol Anne is once again being haunted. Uncle Bruce Gardner, played by Tom Skerritt, briefly mentions that the school’s doctor is at fault due to his hypnosis on Carol Anne, however he swiftly dies without any further explanation. What’s more Carol Anne is visiting her Auntie and Uncle, however the film never explains why, only a passing comment that she’ll be there until August. Due to the lack of set up, Poltergeist III leaves the viewers questioning the story, rather than enjoying it. 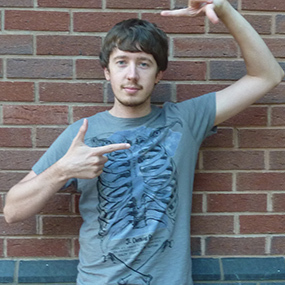 These gaping plot holes are the film’s main downfall along with a few other minor issues – like Henry Kane, who is completely un-interesting this time around – creating a film that won’t overly appeal to new viewers but to those that feel obliged to watch it due to the fairly good previous two films. Is it worth watching? I’d say not.